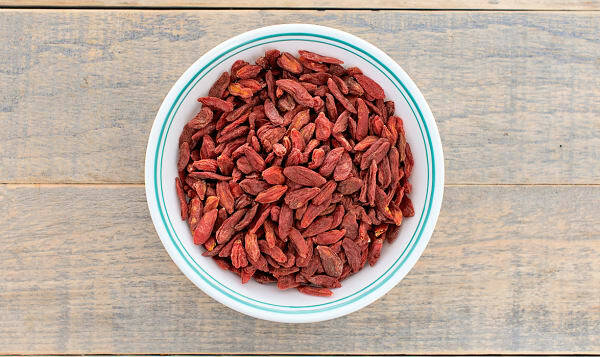 These small, red, flavourful berries have been used in traditional Chinese medicine for thousands of years. They promote healthy glowing skin, are low in fat, high in fibre, and can help manage weight. They have a natural tangy sweetness, and tiny crunchy seeds that give them a wonderful texture.